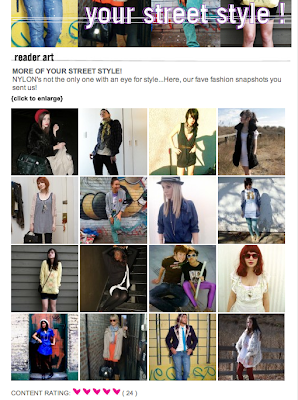 I went to Nylon's website today and found out I was featured on their street style section. I sent the photo what feels like a million years ago, it's a really old photo. How exciting though! oh how i adore the way you dress, & you really make me envy your hair colour. i added you to my list of blogs totally worth reading, because yours definitely is!